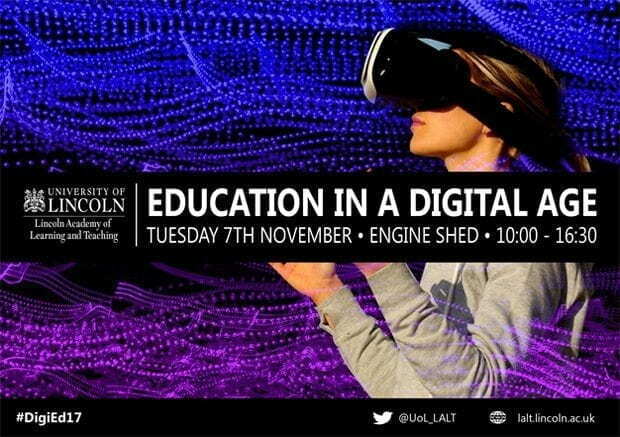 Aimed at both staff and students, this is a one-day LALT event will be celebrating and showcasing best practice across the University with presentations from colleagues, demonstrations and hands-on workshops with the theme of ‘Education in the Digital Age’. Throughout the day the presentations, showcase’s and workshops will be running parallel and available for staff and students to attend. You can choose multiple workshops at a time and please note some workshops are repeated throughout the day. Workshops and presentations will be running throughout the day. Stay for the whole day or just drop in for 20 mins – there’s something for everyone and it promises to be a great day to inspire, inform and engage with this important aspect of learning & teaching.To secure your place on any of the workshops, please register and select the workshops you wish to attend by clicking on this link to Eventbrite. Workshops will have limited availability due to space restrictions. Priority will be given to those who book in advance. If you haven’t booked you can sign up on the day but we cannot guarantee that you will be able to attend the workshop. Below you can find information and timings of both the presentations and workshops that are happening throughout the day. This PDF will continue to be updated throughout the run up to the event.